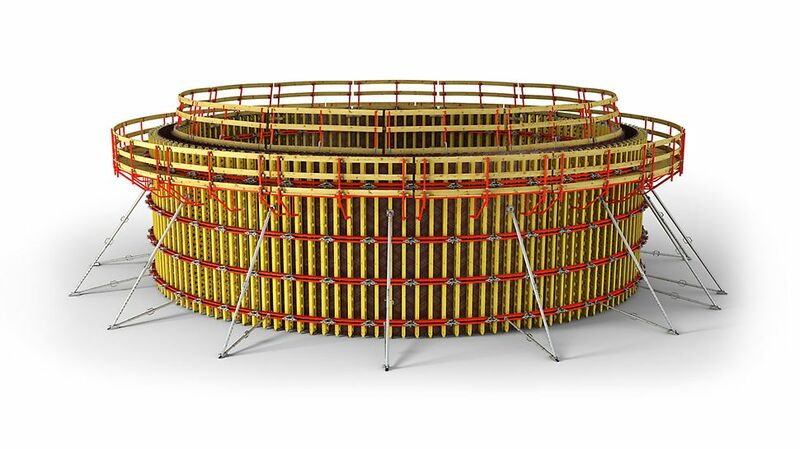 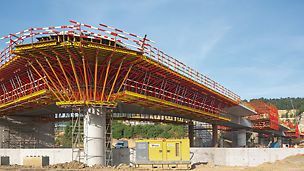 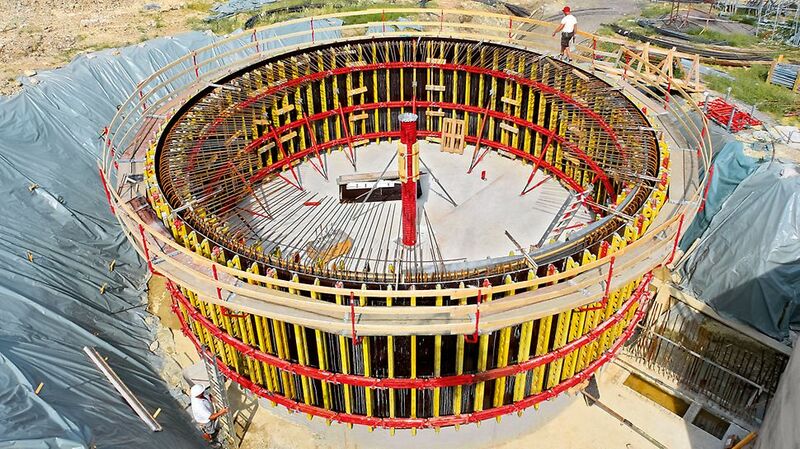 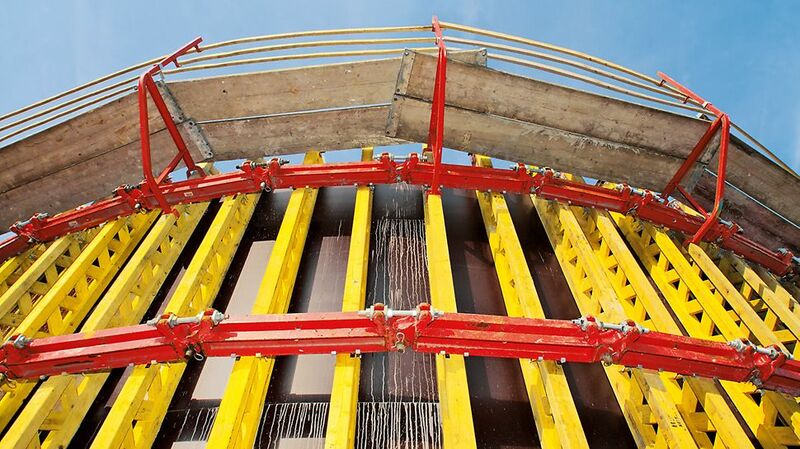 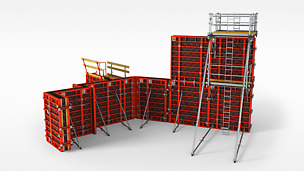 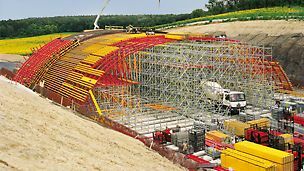 With the GRV Articulated waler Circular Formwork, the external ring tension force as well as the internal compression force are transfered by the closed ring of walers. 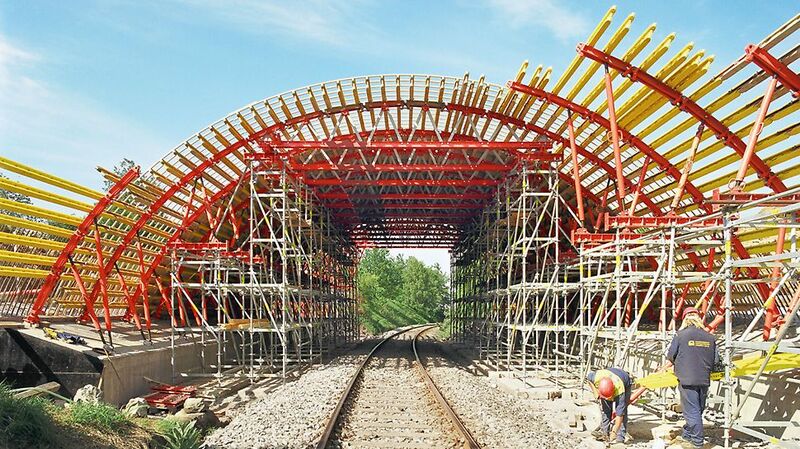 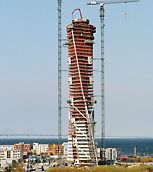 Consequently, the system allows circular structures to be realized without tie points. 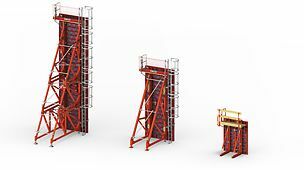 This results in substantial savings, for example, the construction of containers whereby the alternative would be the use of watertight anchor points.